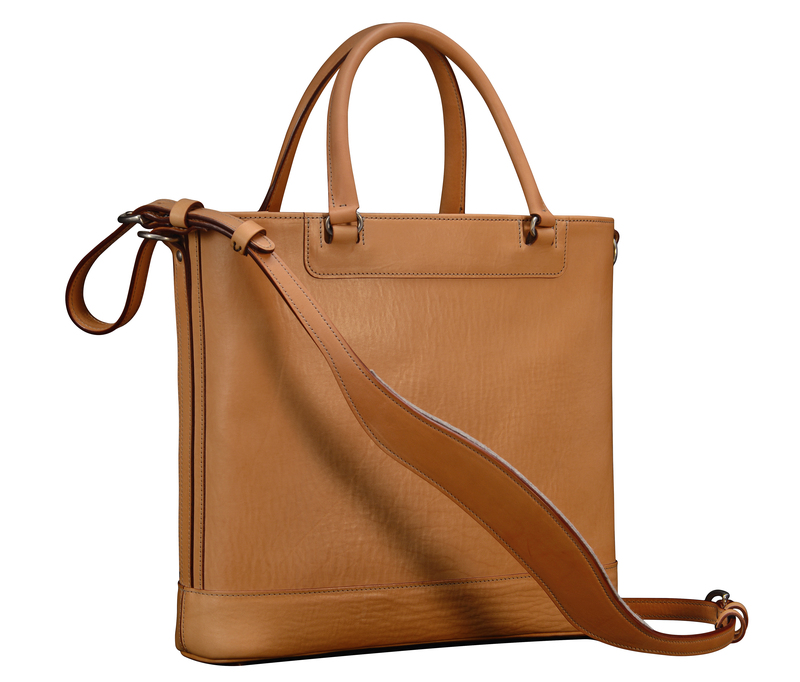 14″ natural leather Business Tote with handles and strap. 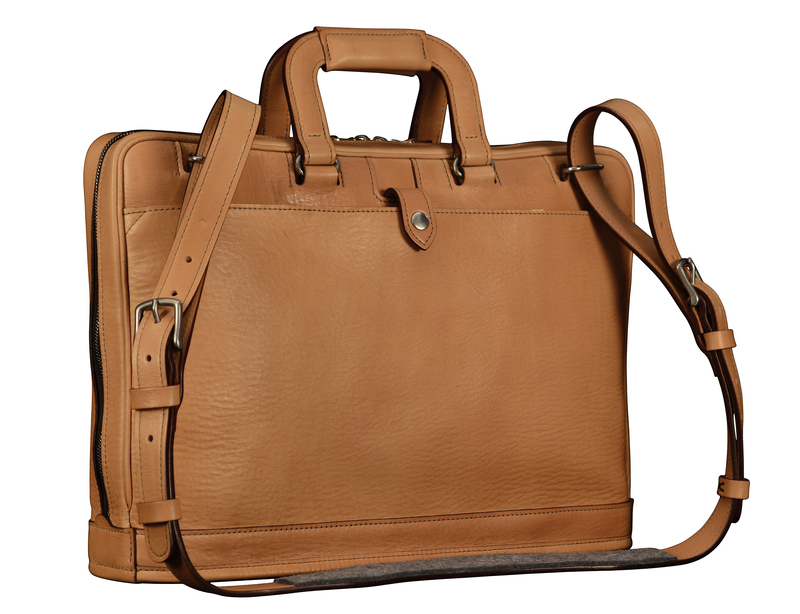 16″ natural leather Platform Portfolio: $1025. 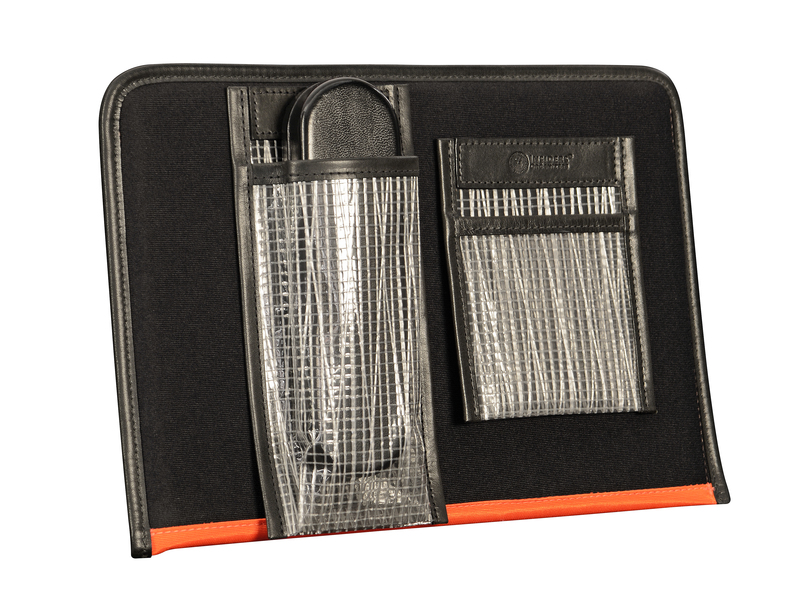 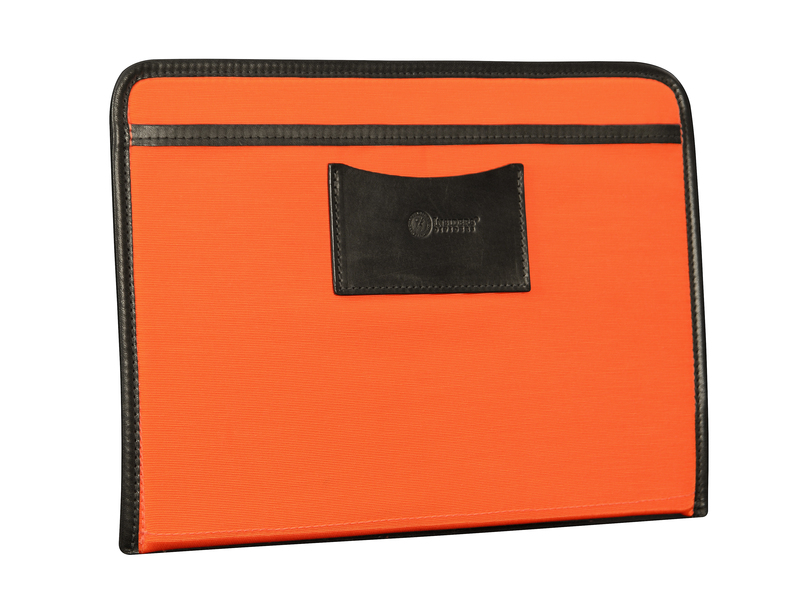 Black Padded Panel with tangerine lining. 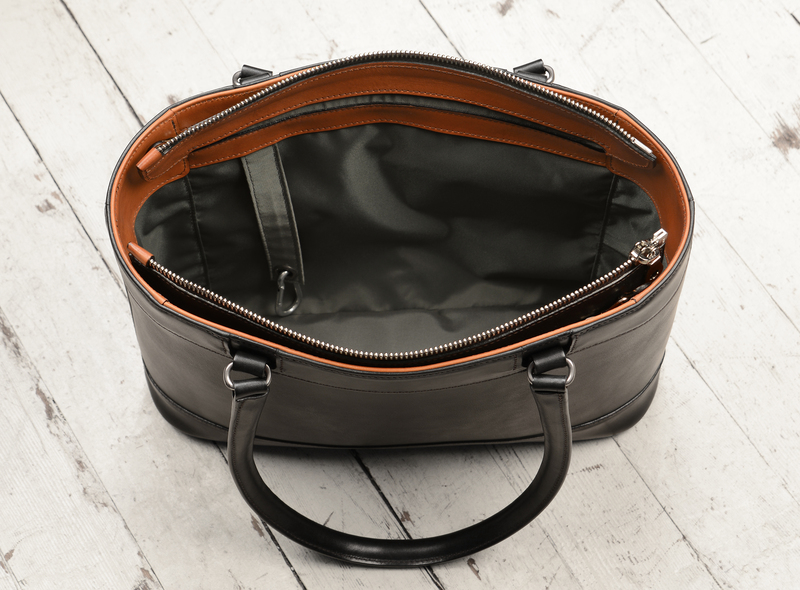 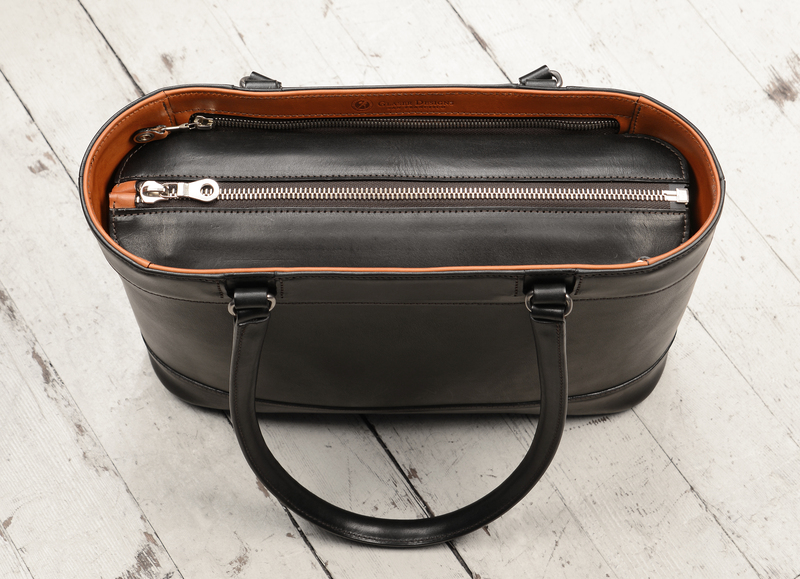 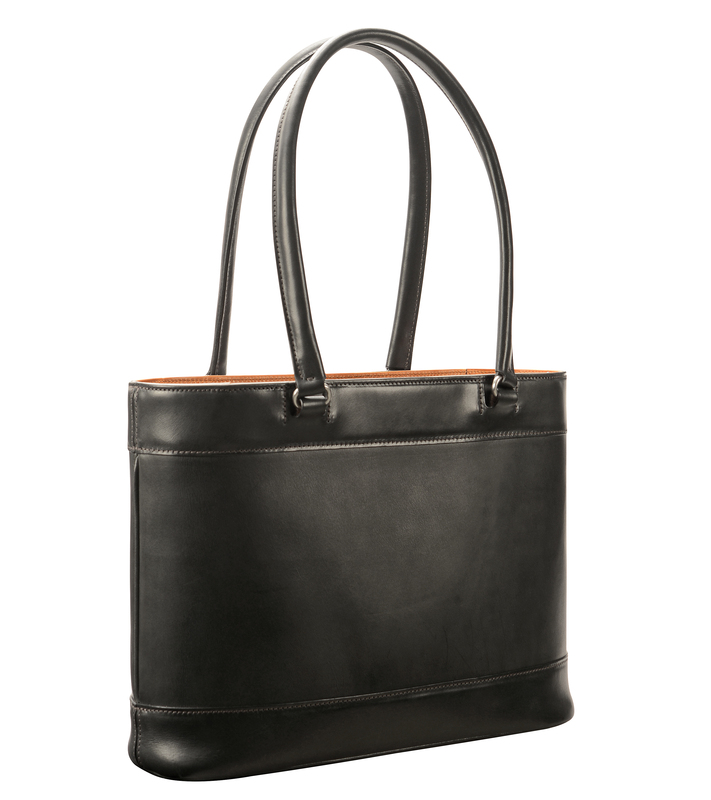 14″ hand-burnished black Business Tote with chestnut trim. 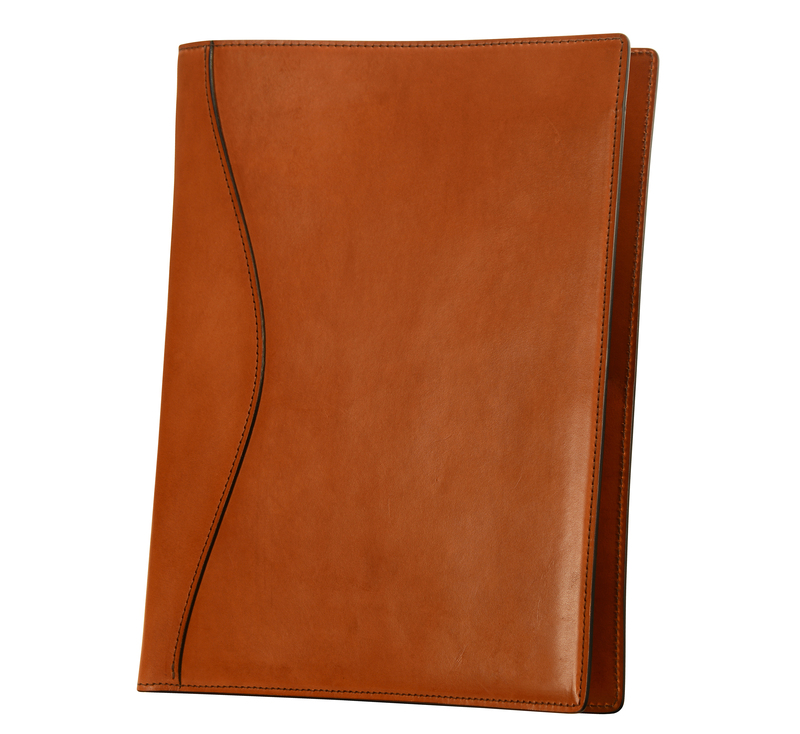 Natural leather Platform Portfolio; 16 x 11 x 4″. 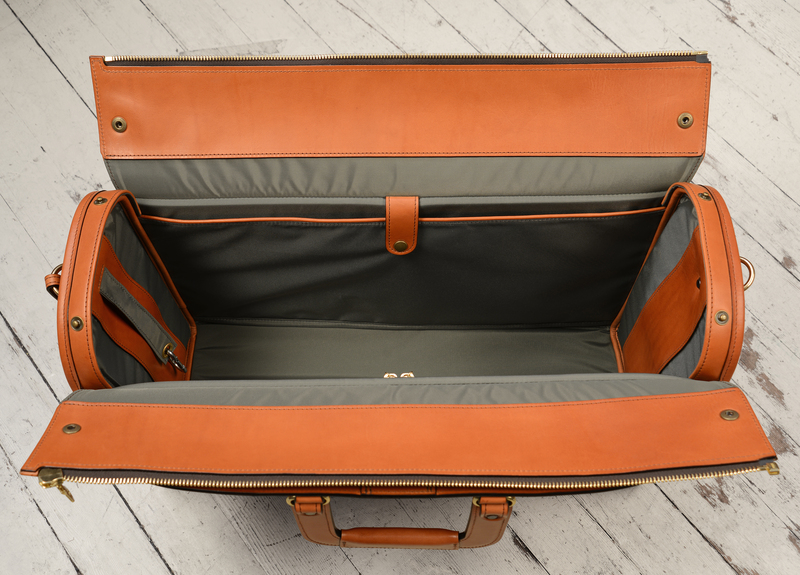 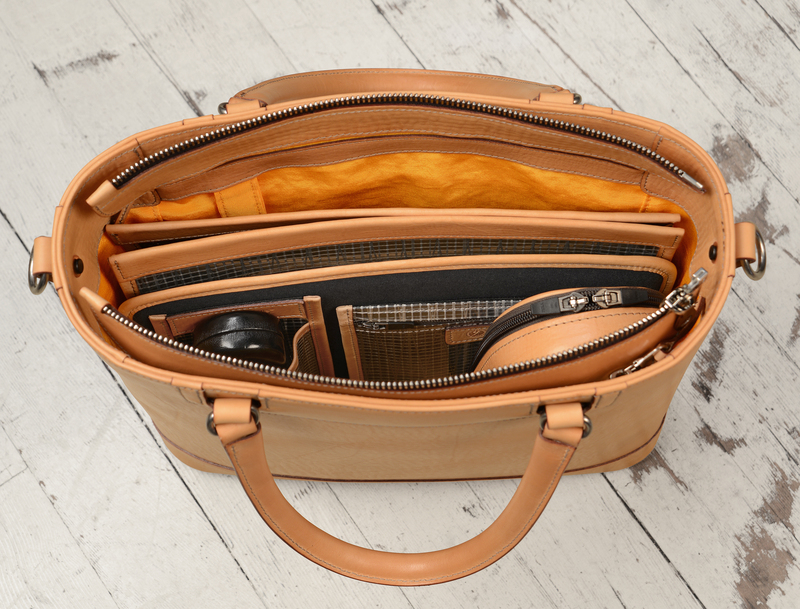 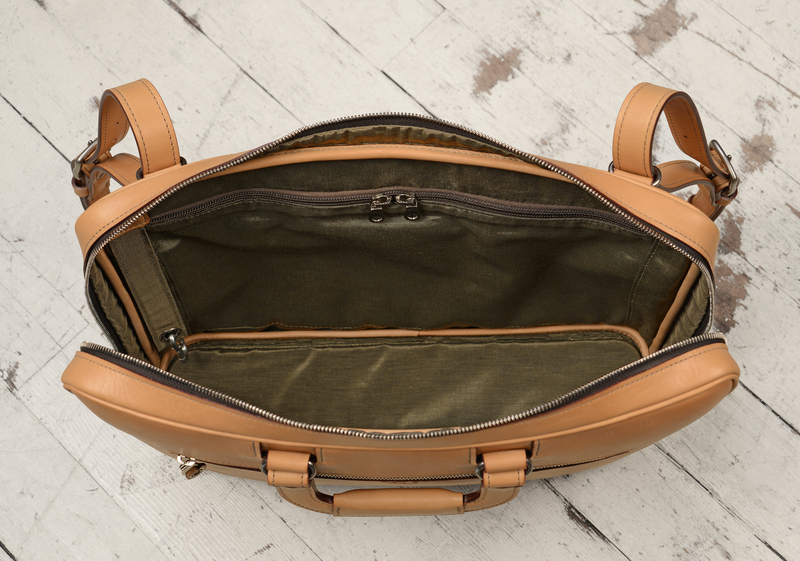 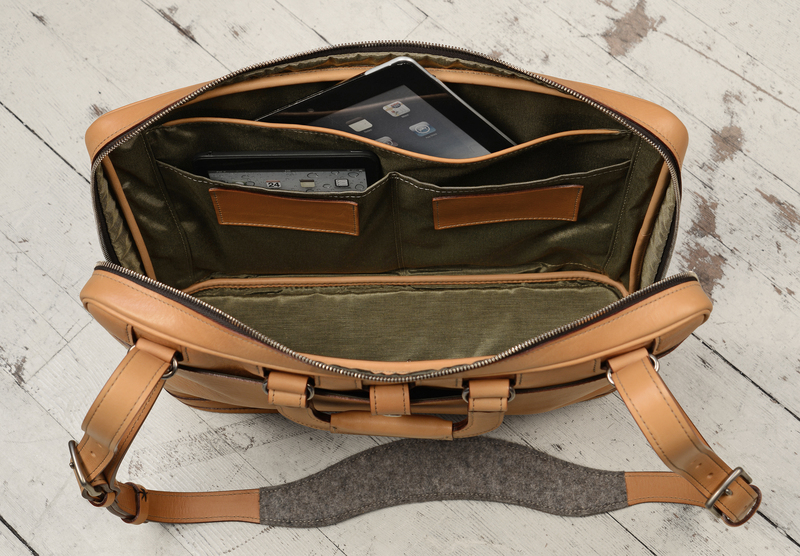 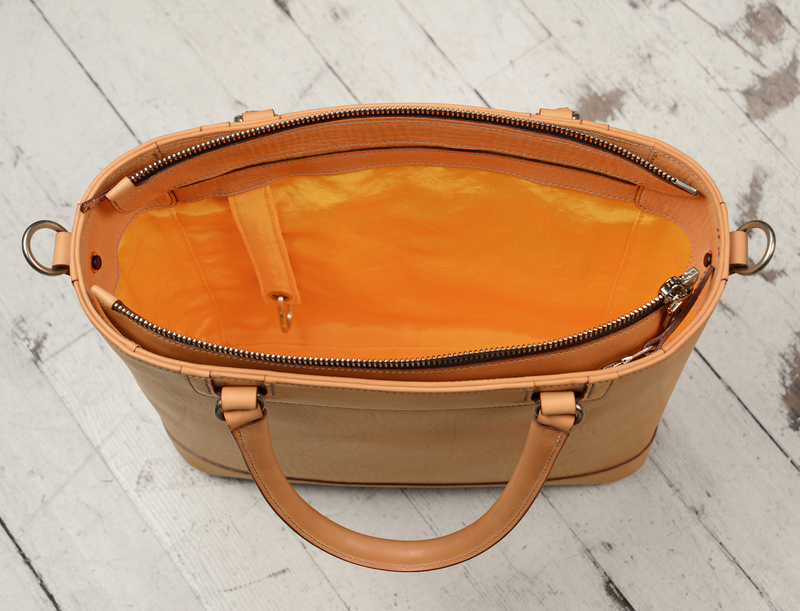 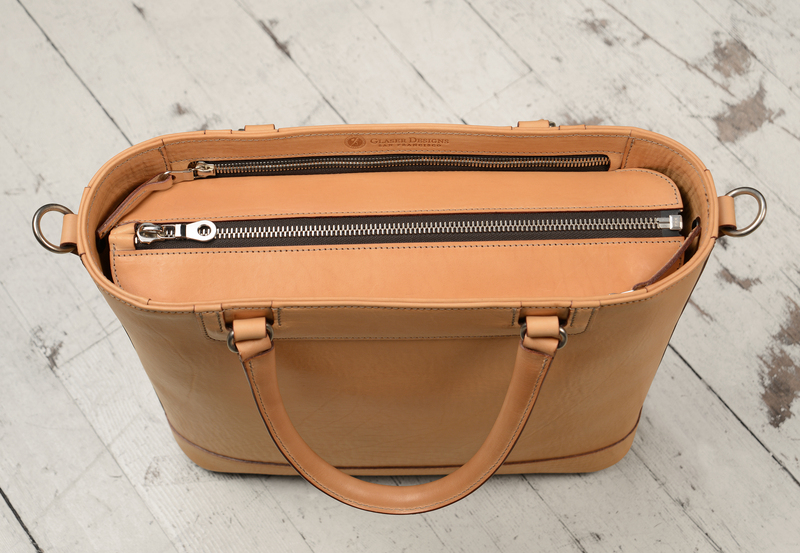 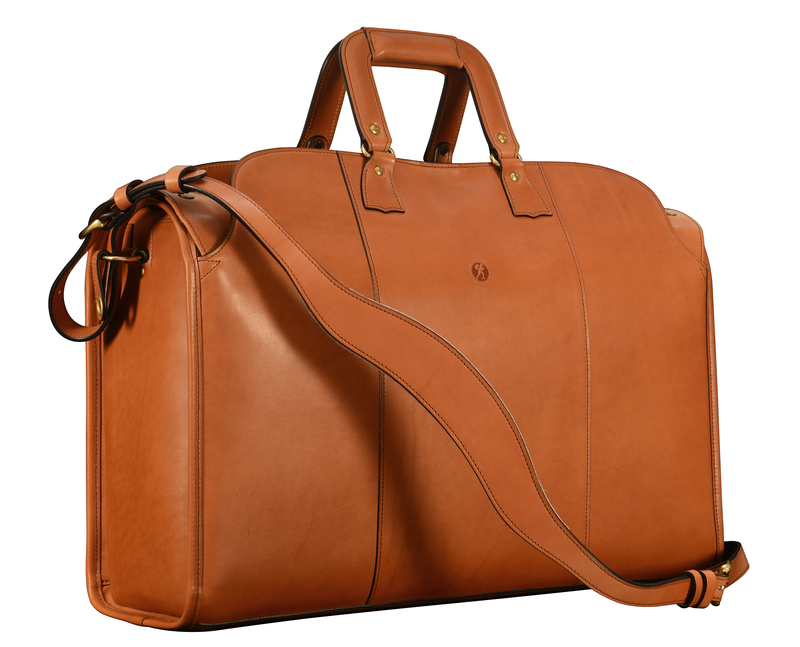 Natural leather Square Duffel; 20 x 13 x 8″. 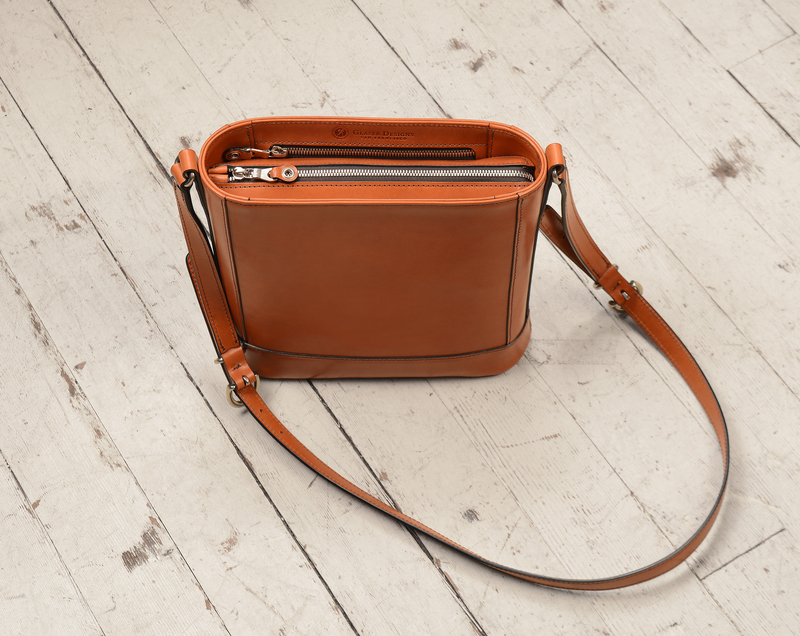 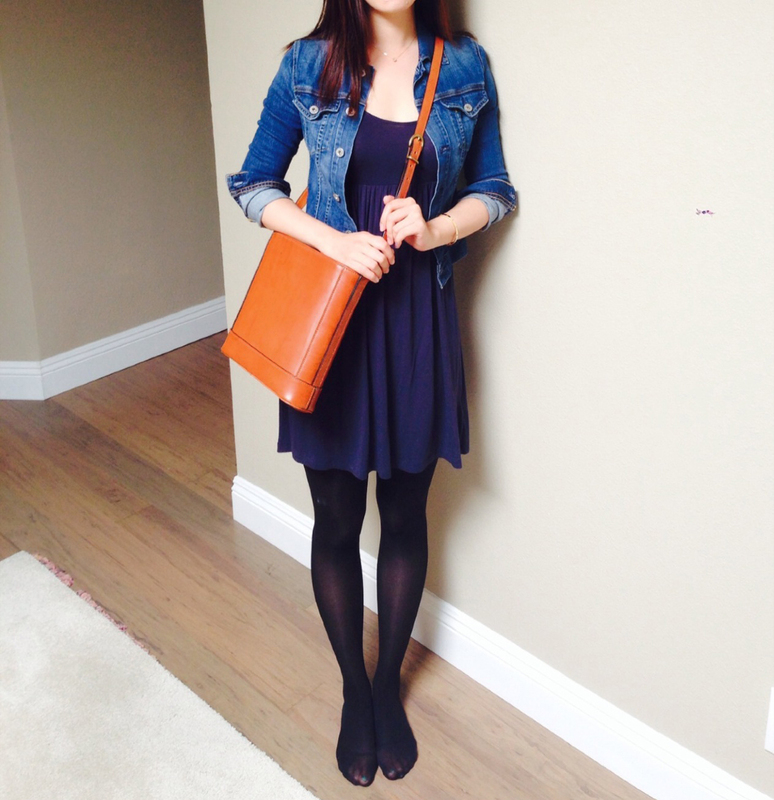 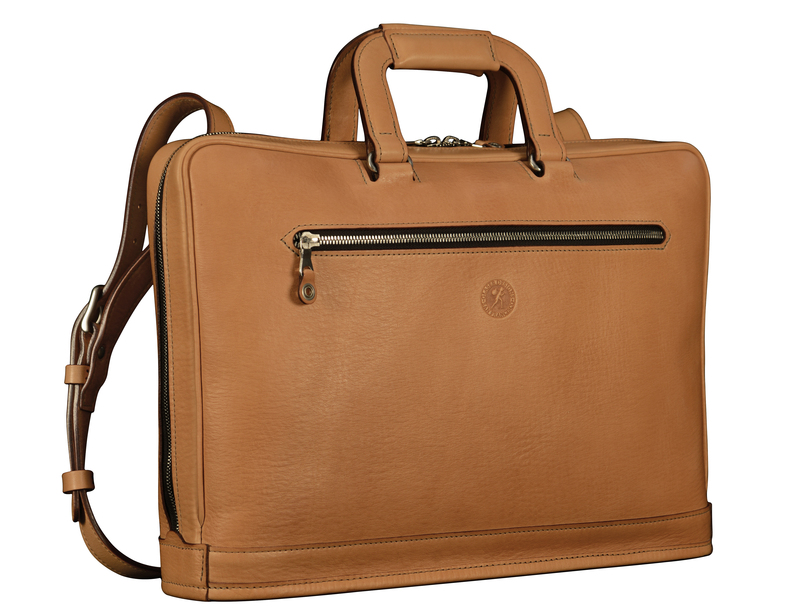 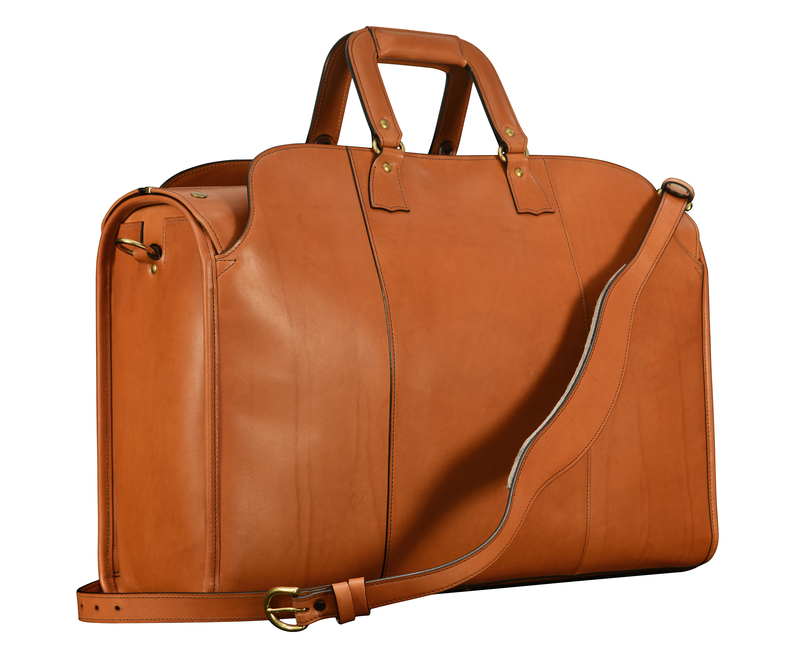 22″ hand-burnished chestnut Litigation Bag: $1495. 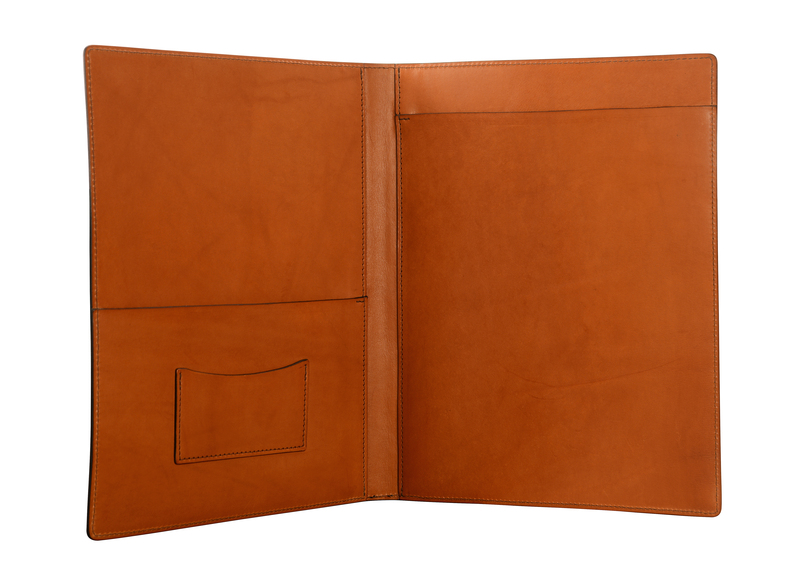 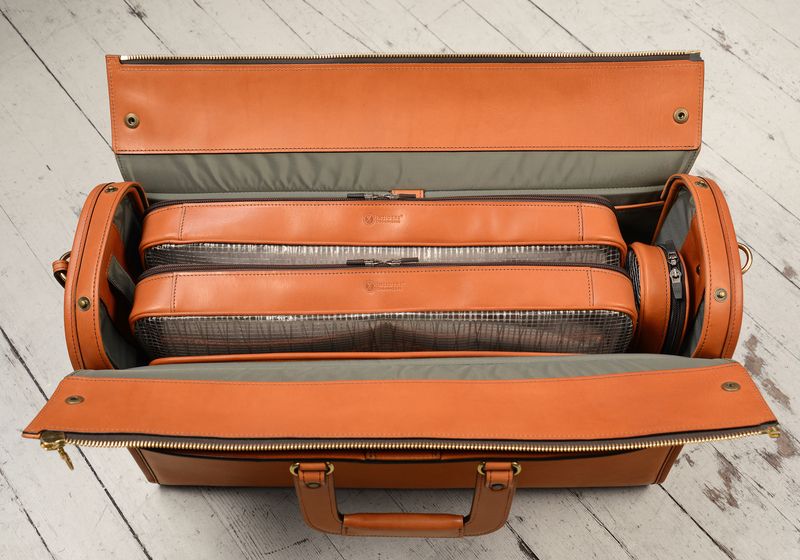 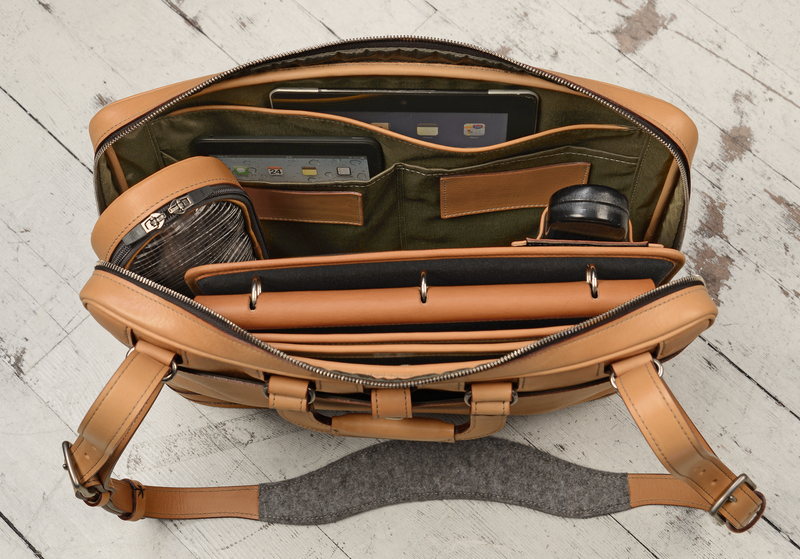 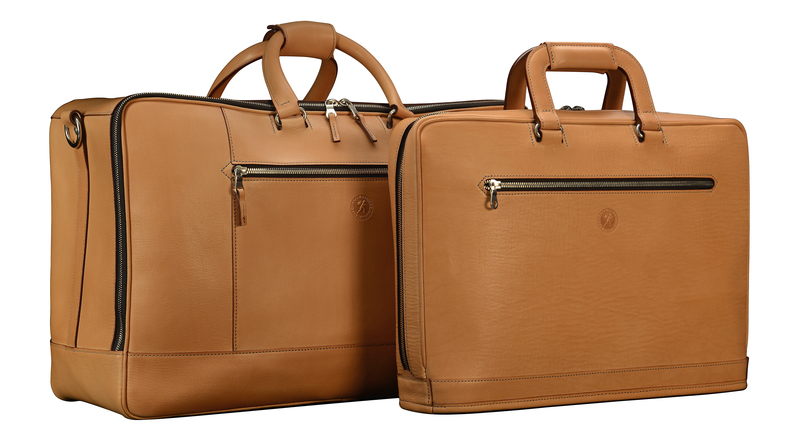 (Also available in hand-grained, hand-colored leather: $2990).